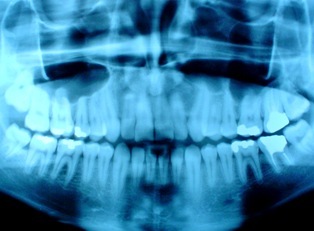 A new trend in the medical examination of parodontitis has discovered that an adult patient can lose his teeth more likely because of parodontitis than because of dental cavities. Due to this fact, there was a need to extend a preventive part of stomatology by a new profession – a dental hygienist. So, a dental hygienist is thus another important member of our staff in the dental surgery. However, a dental hygienist does not substitute a dentist but he/she is his/her co–worker. The main aim of that work is first of all: finding and documentation (diagnosis) of dentition-condition and parodontitis, taking X-ray photographs, dental tartar and plaque removing, teeth whitening and training of patients about new trends in an every day dentition care. Generally, we can say, that the right dentition care and professional dental prevention is a fundamental condition of healthy teeth. Why not to begin with a professional dental prevention right now? Nowadays, the most modern way of substituting a segment or a whole set of dentition is by dental implants, and they are common part of our offer. Since 2004 (when the first successful operations were done) we have been offering Swiss products of the Straumann Company which has a partnership with the Ormed Company – the sole representative for the Czech Republic and Slovakia. The brand Straumann is accredited; all products have the certificate ISO 9001 and the mark CE. If you are interested we would be pleased to inform you. Our telephone number is 241 40 39 70. You can find further information about the Straumann Company on this web-page. According to the American Dental Association, there are about 200.000 prevented injuries in the USA, due to using a teeth protection. Despite this great success, National Youth Sports Foundation estimates that people in the USA lose up to 5 million teeth during their sport activities. According to Dr. Ray Padilly, the total cost of one knockedout tooth is 20 times higher than the price of a preventive made-to-measure tooth protection. You can find further information about our teeth protections here.